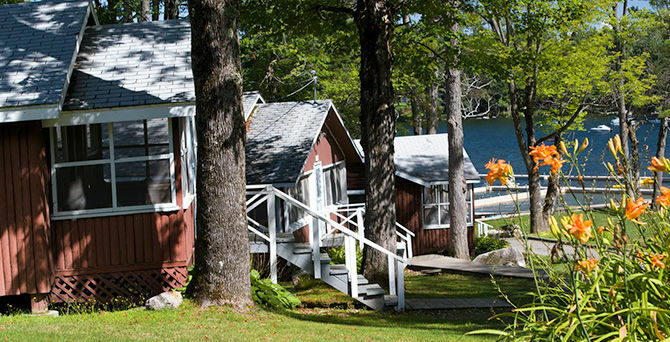 In 1921, Camp Somerset for Girls opened its doors and in 1985 it closed them — after generations of campers had made memories and friendships within their beautiful home-away-from-home. As of summer 2018, the the camp is back, blending timeless values and traditions with innovative programs for today’s girl. At Camp Manitou, we recognize that one of the most significant factors in your son’s camp experience will be his cabin life. More than just the cabin facility itself, Manitou cabins are organized and planned according to the age group of kids that will be housed there. Our goal is to always be proactive, making sure there is sufficient staff coverage to oversee the campers at all times. The camper to staff ratio for boys under the age of 11 is 2.5:1 and 3:1 for boys 11 and older. The cabin layout is designed to feel like home. Each camper has his own drawers and personal space and every cabin is equipped with bathrooms and private showers. Each has a table or area rug to foster a sense of community – a place where campers can get together for games, conversations, birthday cake, and milk and cookies before bed. We spend a lot of time getting to know each camper and ask questions to help us place them in a bunk they will thrive in. To help with a first year camper’s adjustment to camp, we place all new campers together. A camper’s closest relationships will be formed in their cabin. It is our goal to assemble cabins that will be together for years. Before becoming directors, Dave and I spent six years as bunkmates! The American Camp Association's rigorous standards of excellent guide successful camps across the country.